During the past few weeks, I have been accelerating my connections on LinkedIn, and benefited from meeting a PhD with compelling answers for achieving more in all areas of life. 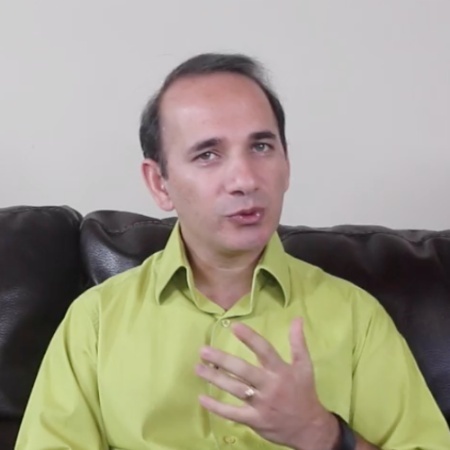 Kamran Akbarzadeh, PhD, Founder of the Dream Academy, is a man who walks the talk. He is the Senior Research Engineer - R&D Lead at Shell Oil and Gas located out of the Houston area. His background is rich in this area of research. So why establish the Dream Academy? Kamran noticed in his corporate career how people were stressed out, even as they achieved what would seem to be their highest levels of achievement. Other parts of their lives were suffering. He was often asked how he kept everything in balance. That lead to many invitations to speak on the topic, and eventually, seven years ago, to the forming of the academy. So what does the Dream Achievers Academy provide? we provide top quality and creative in-house, public, and online training and coaching services to help you dream bigger, overcome your top challenges, and get what you want in your personal and professional lives faster. Whether you want to attract more money into your life, develop more fulfilling and loving relationships, build a more successful career, or simply live a happier and more peaceful life, we can help.